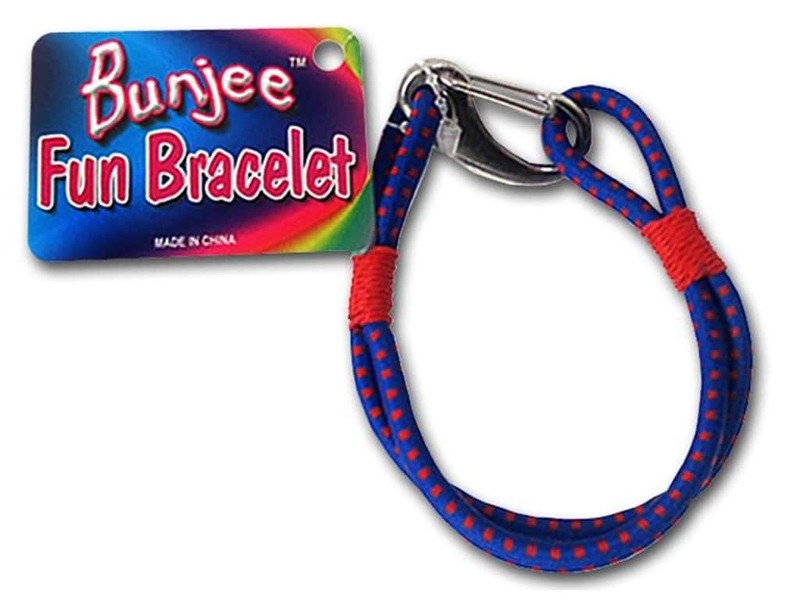 Description: Pepperell Bungee Cord Bracelet Red/Blue. Double cord bracelet with Silver-tone lobster claw clasp. Cord has Blue background with woven Red squares and Red binding string.